Centering Prayer, a Christian form of meditation, opens us to the action of the Spirit within and offers a deepening relationship with God. We meet in the church parlor on an ongoing basis, Wednesday morning at 10:30am. 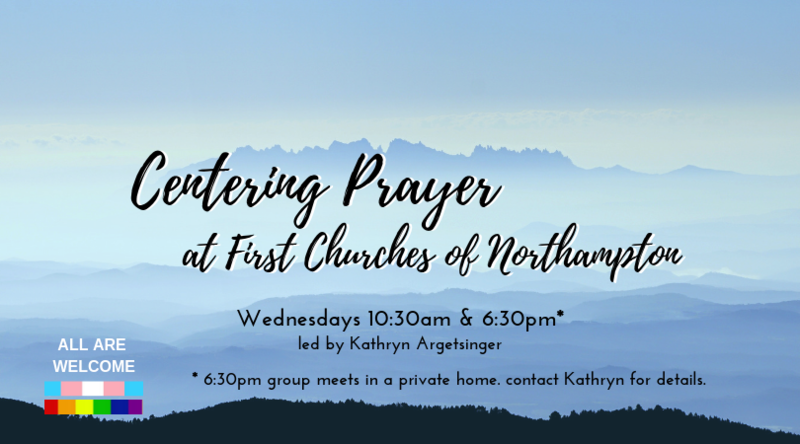 The Evening Centering Prayer group meets in member homes at 6:30pm Wednesdays. Contact Kathryn for details.